A unique touch for your celebration. These wrappers match the bees and apples bencher covers. Some of the apples are dripping with honey. This is a digital file that you may print on your own printer or via your local print shop. 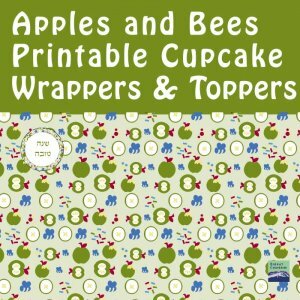 1 Printable 8 x 10 sheet of apple and bees cupcake wrappers. Two per page. 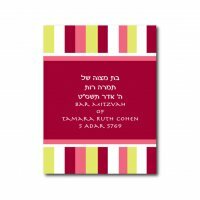 One page of apple and bee design Toppers with the message "Mazal Tov" in Hebrew (with the font in the image) and just the design as squares to be cut with a 2" round scrapbooking punch.